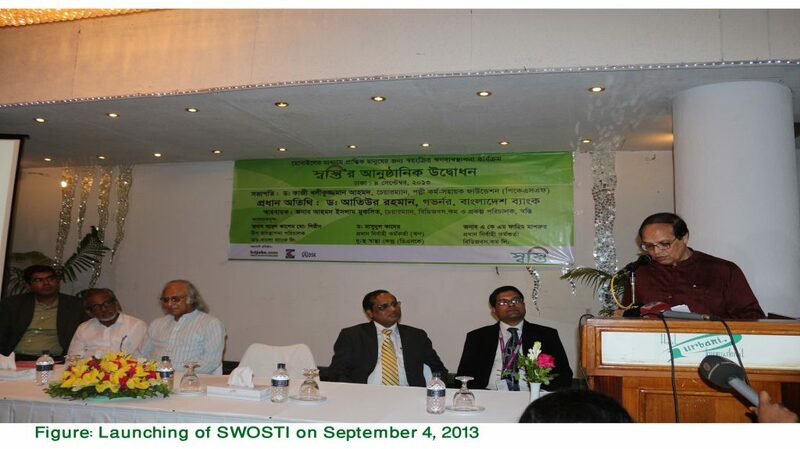 Launching Program of 'Mobile Credit Card' - Swosti on September 4, 2013. 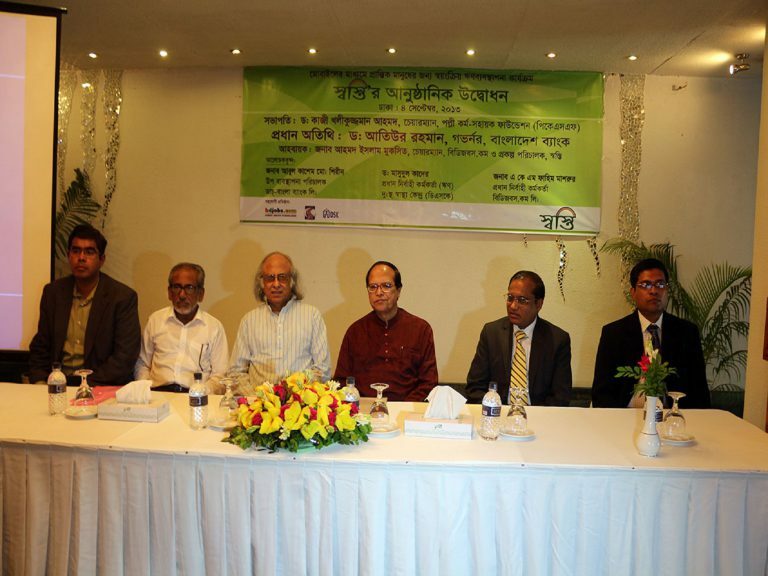 Bangladesh Bank Governor Dr. Atiur Rahman delivering speech at launching program of Mobile Credit Card - Swosti. 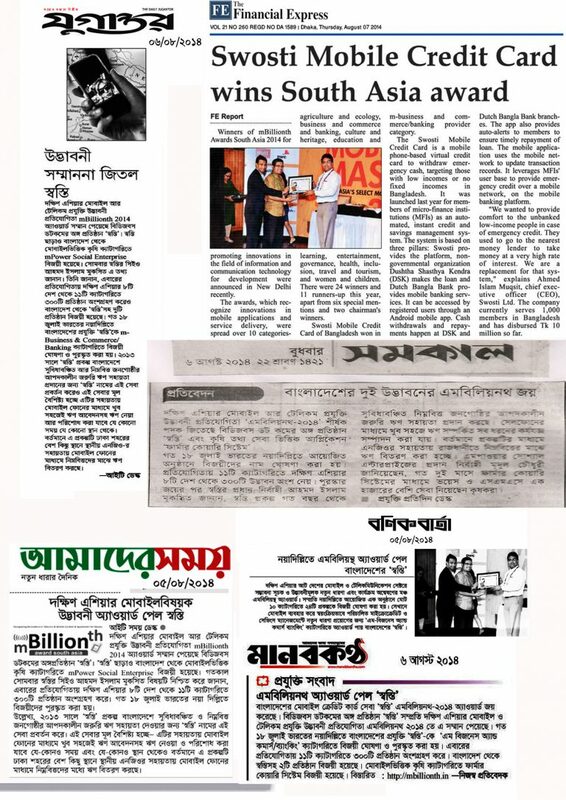 PKSF Chairman Dr. Kholiquzzaman Ahmad, DBBL MD Mr. A K M Shirin, High officials from DSK, Bdjobs.com and Swosti ltd. were present. September 4, 2013. 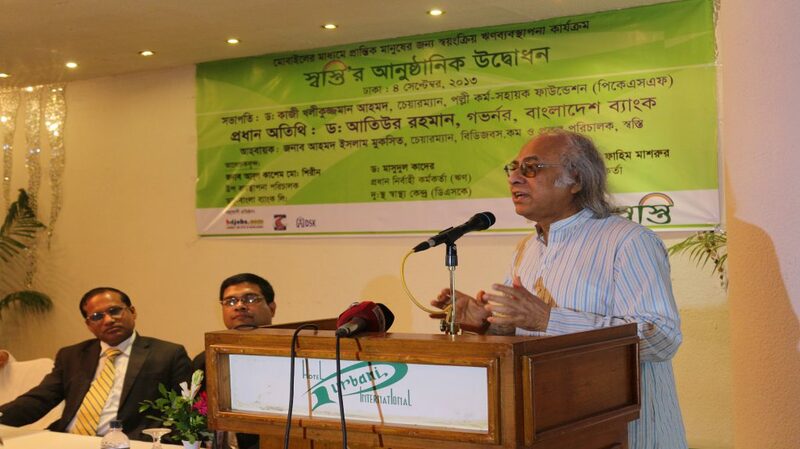 Dr Qazi Kholiquzzaman Ahmad, Chairman-PKSF speaking at Swosti Launching program. 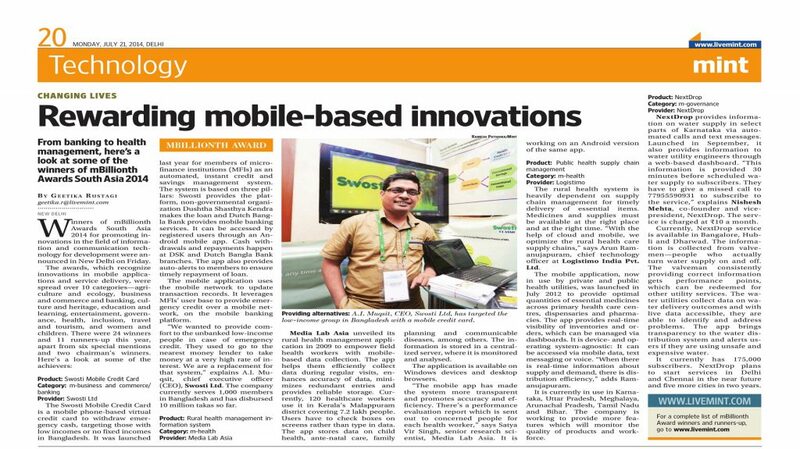 Swosti won mBillionth Award-2014 from New Delhi, India for its concept of mobile-based emergency credit system in Bangladesh. 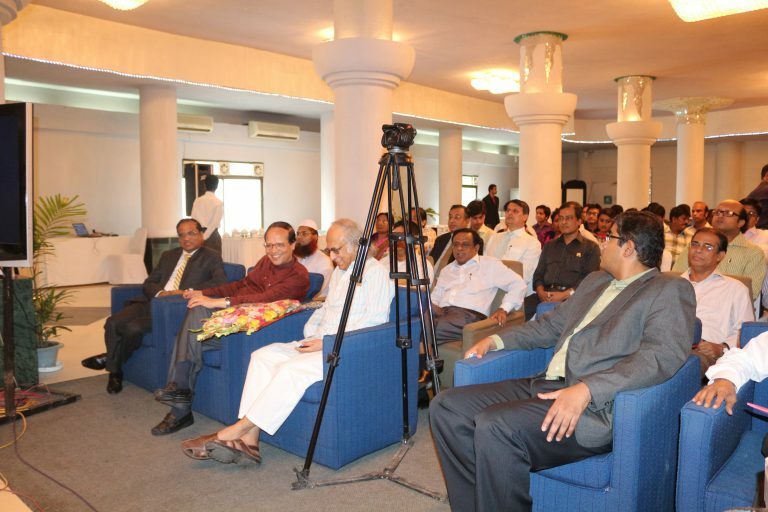 mBillionth Award is a yearly program which recognizes digital innovation from eight (08) countries of South Asia. 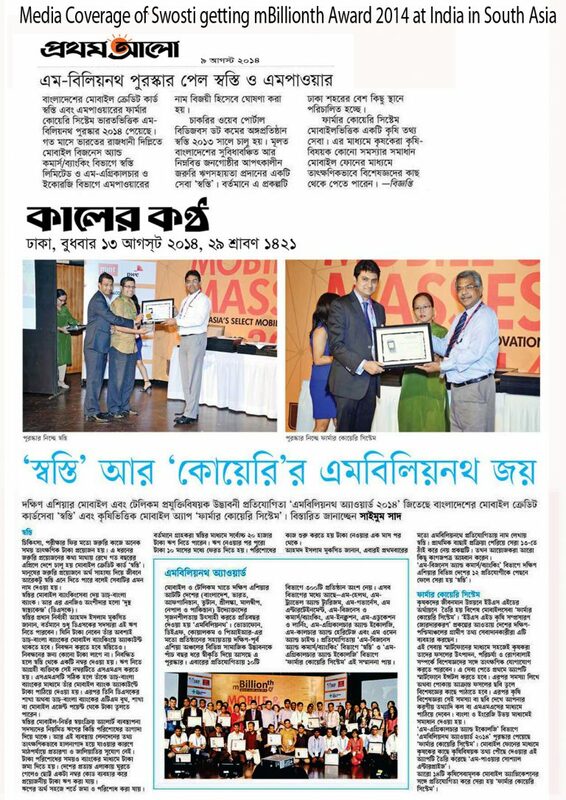 mBillionth Award Published in Delhi Newspaper. 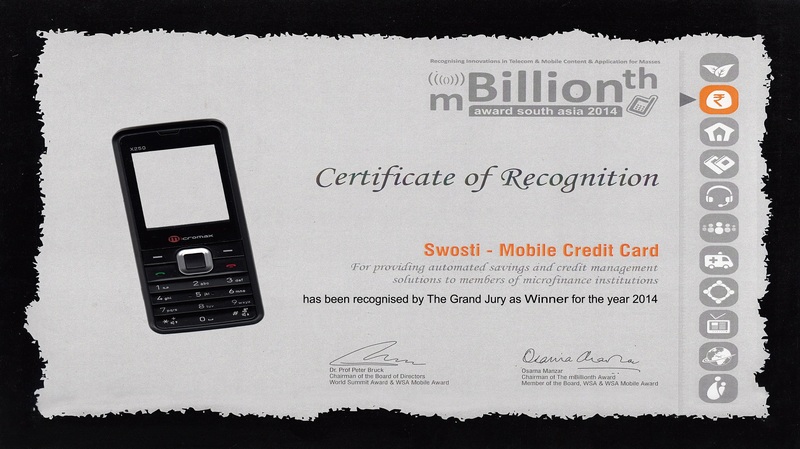 Rewarding Mobile Based Innovation - Swosti won the mBillionth Award 2014 in m-Business & Commerce/Banking Category. Swosti signed an agreement with EWF on 29th March, 2017. 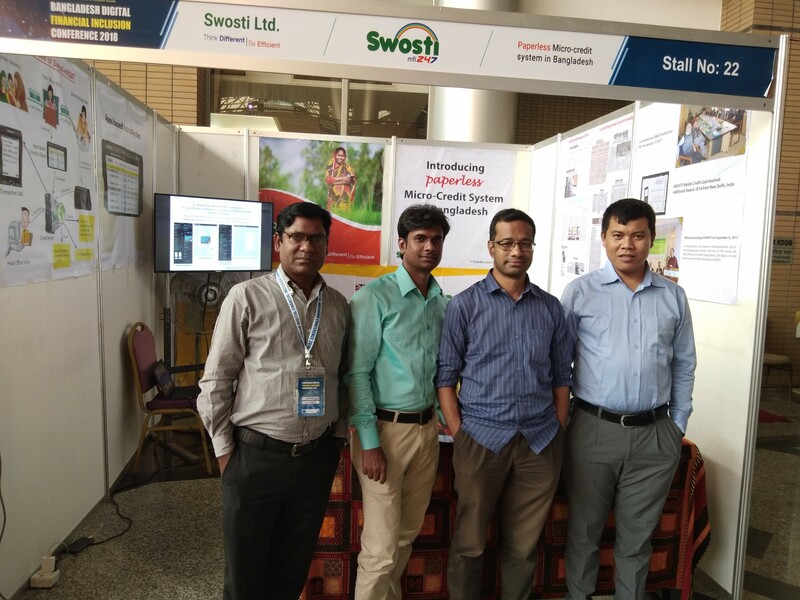 Shushilan signed an agreement with Swosti to use the application developed by Swosti Limited. 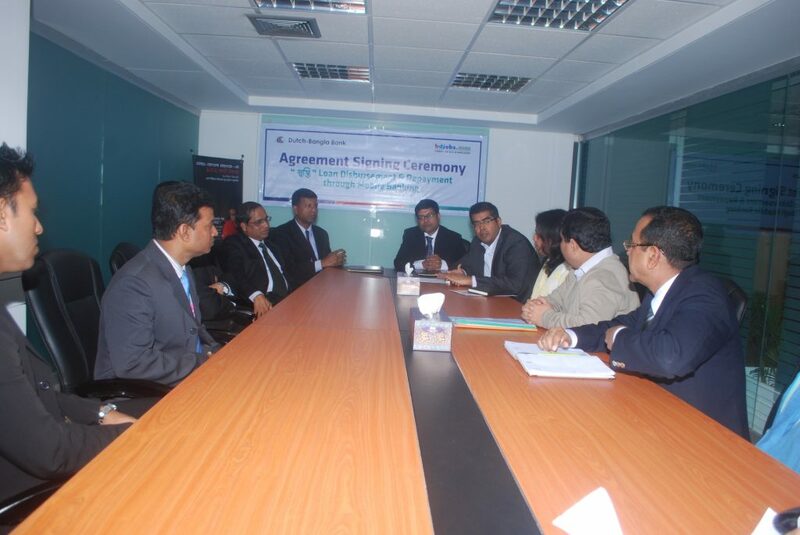 Agreement Signing Ceremony With Atmabiswas. 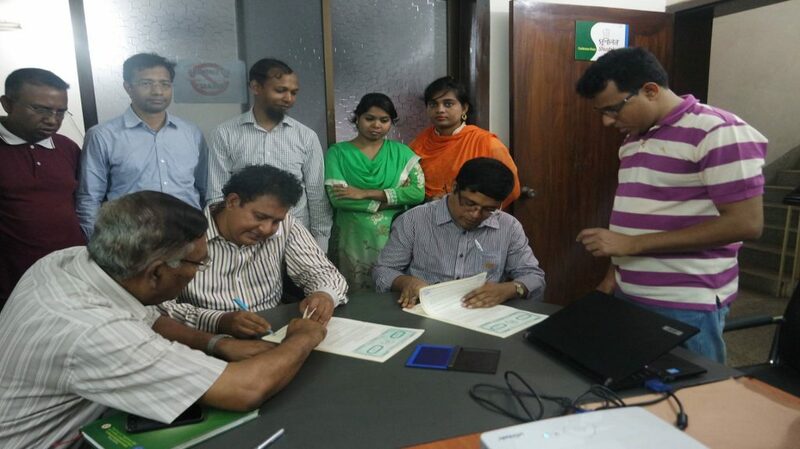 Partnership with BFP-B for Implementation of Swosti-mfi247, 1st Paperless Micro Credit System in Bangladesh. 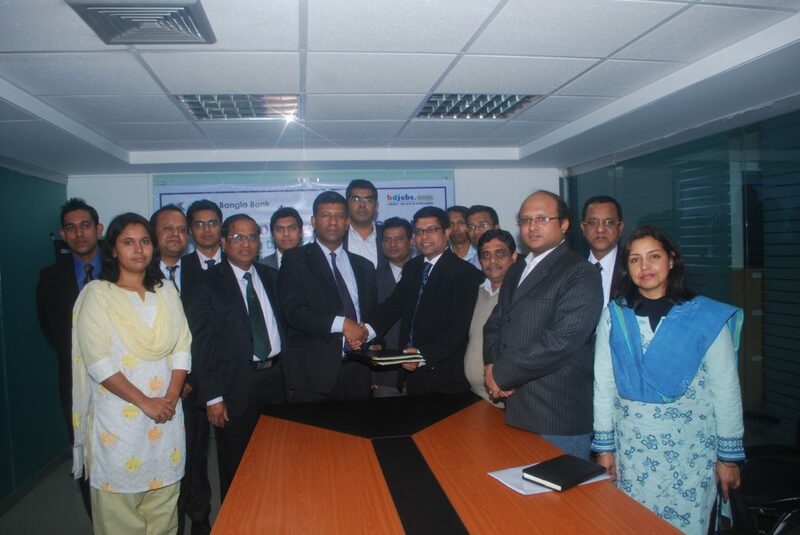 Signing photo with Dutch-Bangla Bank Mobile Banking to introduce Mobile based emergency loan, Swosti in Bangladesh on January, 2013. 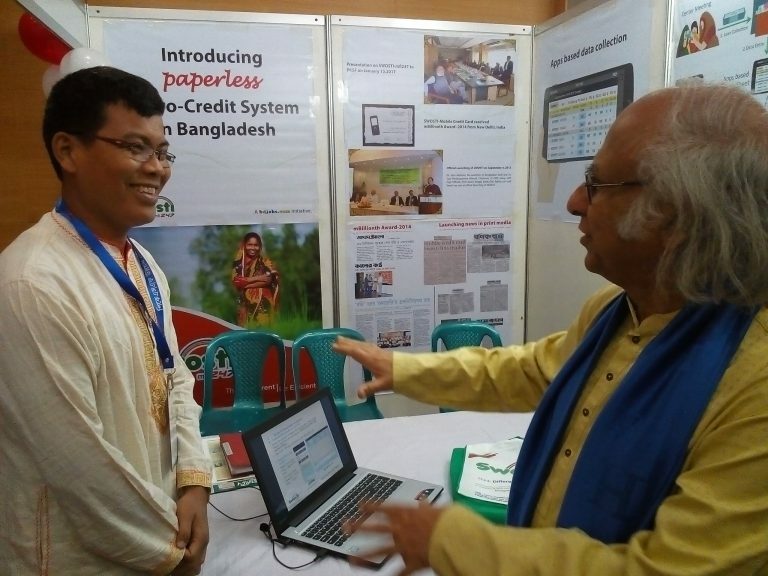 Swosti took part in UNCDF arranged Digital Financial Inclusion Fair, November 20, 2018. 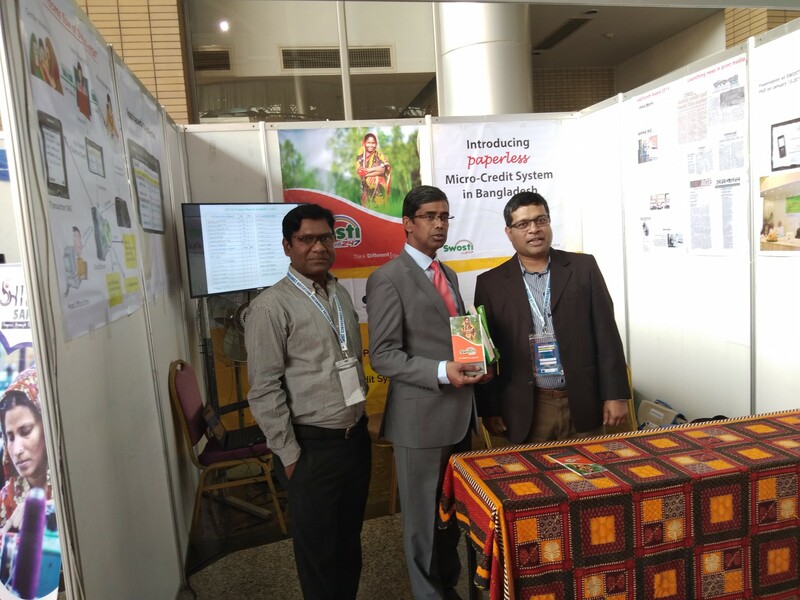 Mr. Arfan Al, MD of Bank Asia Ltd. visiting Swosti stall at UNCDF Digital Financial Inclusion Fair, November 20, 2018. 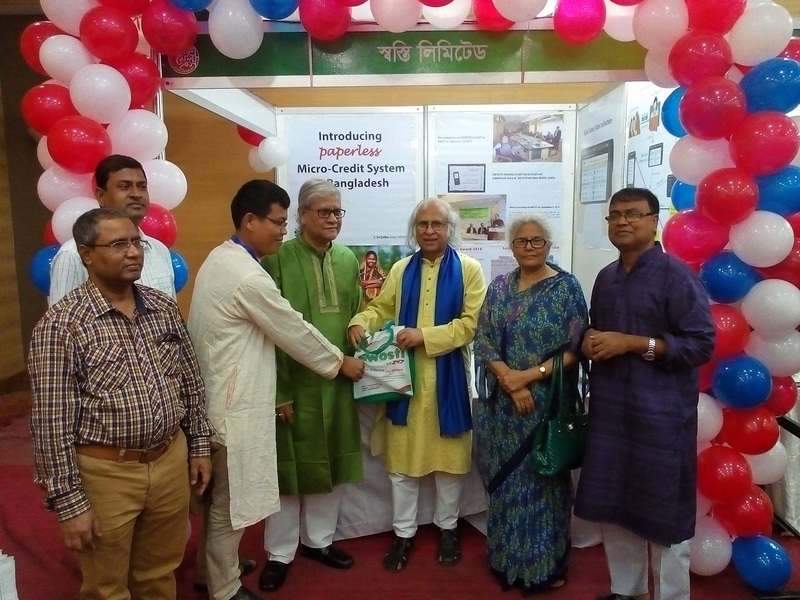 PKSF Chairman Dr. Kholiquzzaman Ahmad visiting Swosti stall. Part of the gallery at Swosti Launching Program, September 4, 2013.